ALLEGRA BOVERMAN/Staff photo. Gloucester Daily Times. 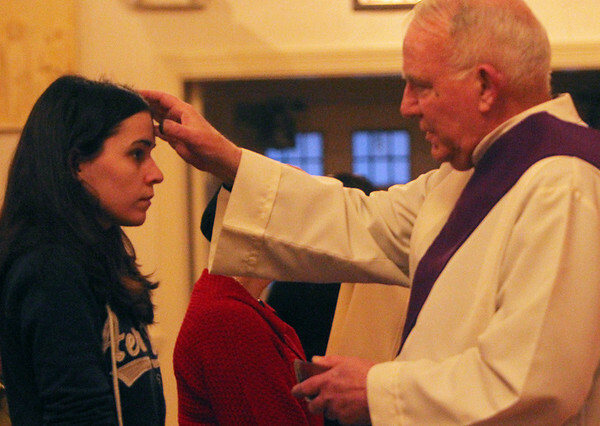 Rockport: Deacon William Kane of Saint Joachim's Catholic Church in Rockport places ashes on the forehead of Meghan McCormack of Gloucester during the Ash Wednesday service there late Wednesday afternoon.